A box pressed robusto officially 4.5″ x 50 but measures 4.75″ x 48 (how do you measure ring on a box press anyway?). Wrapper, binder, and filler are all Nicaraguan. 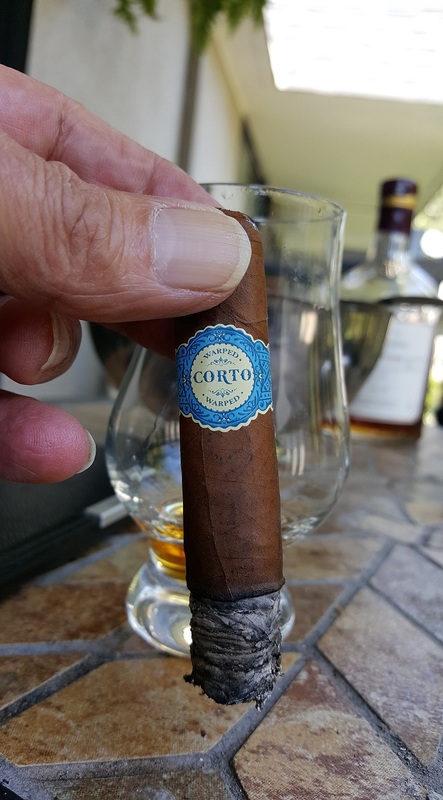 This more elaborate Cigar Coop review says “The Warped Corto is a Nicaraguan puro consisting of entirely of Casa Fernandez’s signature Aganorsa tobacco”. The cigar is made in the TABSA factory in Esteli, the same place as the Aganorsa Leaf TABSA I reviewed here. That was a $6 (retail) cigar and I wasn’t impressed. This one is much better! Normally about $9 this cigar is outside my budget range but my friend George of Rodrigo Cigars came up with a discount a few months ago (what you are not on his mailing list yet?) that brought the price down to $6. There’s been a lot of very positive talk about this cigar on social media, actual smokers not marketing suits, so I took a chance on a box. This is one of those “glad I did” experiences. I’ve smoked a half dozen of these now. Cold smell is very light, almost nothing there, but what there is speaks of sweet flowers, maybe even strawberry. Very strange. Never got that from a wrapper before. Construction is excellent. Wrapper a medium brown sometimes getting a bit dark going down the leaf, few little veins, almost invisible seams. Very smooth wrapping. 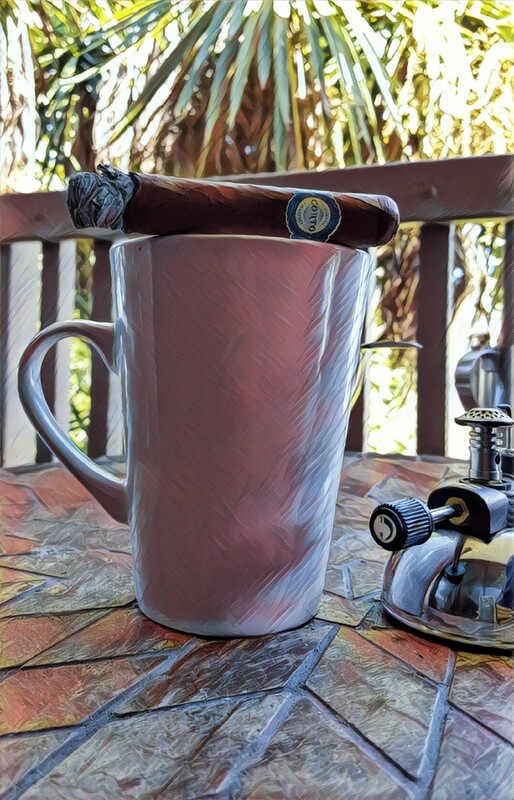 With a straight cut I much prefer on box pressed sticks, the draw of every cigar has been perfect for me; easy, but not too easy, and best of all it stays that way throughout the smoke. This cigar is packed perfectly with no tendency to clog up behind the lit coal. Smoke output is great throughout, one of the creamiest sweet smokes I’ve ever had. The burn line on all these sticks stayed pretty straight. Not perfect, but close enough. All of these cigars remained flavorful down to the last half inch. Flavors here were rich and sweet. The stick begins with a little pepper, nut, sweet wood and light tobacco. A half inch in something like cinnamon sugar appears, and something sweet and floral reminding me of honeysuckle. Midway a transition to leather, more sweet flowers, something like wintergreen, fresh hay and more brown sugar. A little later something fruity like the strawberry I smelled on the wrapper. In the last third the pepper comes up, there are more mints and the brown sugar becomes a little burnt like a caramel. The retrohale is still filled with sweetness. The transitions here are notable and the sweetness never leaves the smoke. Strength starts out to the medium side and progresses to the full side of medium-full throughout the smoke. So are these cigars worth $9 retail? 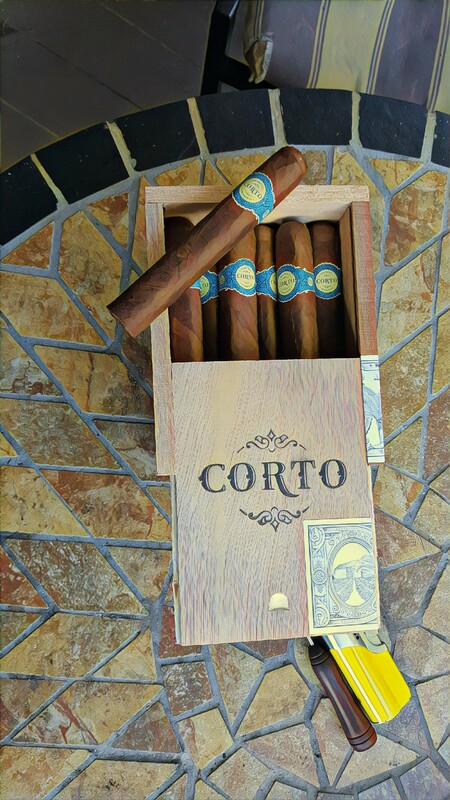 I can only compare these to other cigars from My Father, Drew Estate, Arturo Fuente, LADC, LEAF by Oscar, and others selling at this price, and yes the Warped Corto are as good as those other excellent cigars. You can see this particularly in the construction, the well done wrapper, perfect pack and draw, clean burn, smoke output, and so on. The other “sign of a good cigar” like those of other manufacturers mentioned, is that the blend stays flavorful down below the 3/4 inch line. While beyond my budget at retail I will grab another box of these if a deal comes along. If you love Aganorsa and haven’t tried these, this is a really good one and you should grab a few where ever you find them. I’ve paired these with coffee and various rums. 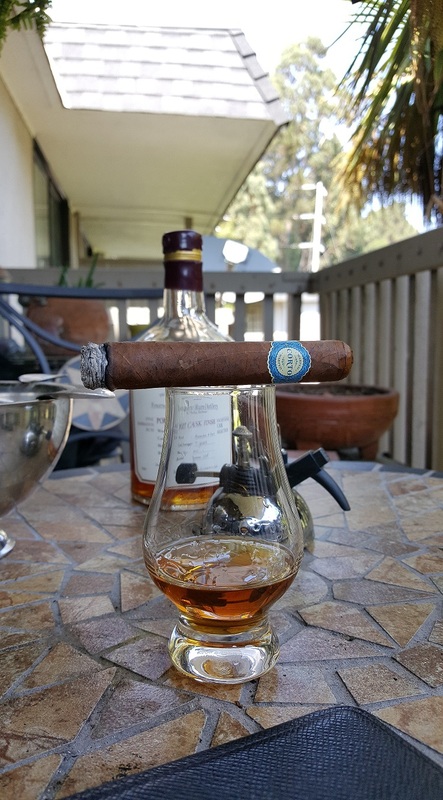 The less sweet rums work better letting the cigar’s sweetness come through. Coffee brings out roasted nuts. A great cigar, highly recommended!